MLINE is Sirena’s range of modular and multifunctional signaling devices engineered for civil and industrial applications. – Accessories & pre-combined units. – Shallow Base: 92mm diameter x 21mm high. – Deep Base: 92mm diameter x 46mm high. – Wall Base: 100mm x 61mm x 115mm (WxHxD). 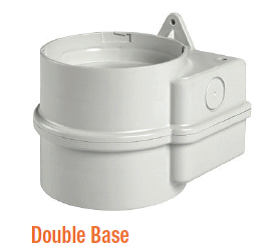 – Double Base: 120mm x 97mm x 117mm (WxHxD). 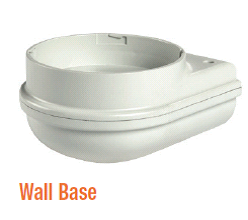 – Ceiling Base: 146mm diameter x 71mm high (for indoor use only). 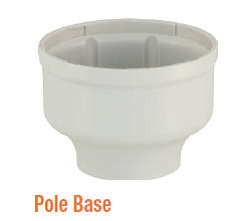 – Pole Base: 92mm diameter x 66mm high. SIR01M90343 RED, surface mounting shallow base, 12-24VAC/DC. 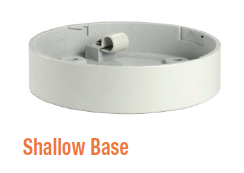 SIR01M90344 WHITE, surface mounting shallow base, 12-24VAC/DC. SIR01M90367 GREY, surface mounting shallow base, 12-24VAC/DC. SIR01M90451 BLACK, surface mounting shallow base, 12-24VAC/DC. SIR01M90345 RED, surface mounting deep base, 12-24VAC/DC. SIR01M90346 WHITE, surface mounting deep base, 12-24VAC/DC. SIR01M90368 GREY, surface mounting deep base, 12-24VAC/DC. SIR01M90452 BLACK, surface mounting deep base, 12-24VAC/DC. SIR01M90442 RED, surface mounting deep base, 30-80VAC/DC. SIR01M90437 WHITE, surface mounting deep base, 30-80VAC/DC. SIR01M90432 GREY, surface mounting deep base, 30-80VAC/DC. SIR01M90455 BLACK, surface mounting deep base, 30-80VAC/DC. SIR01M90508 RED, surface mounting deep base, 90-240VAC. SIR01M90509 WHITE, surface mounting deep base, 90-240VAC. SIR01M90369 GREY, surface mounting deep base, 90-240VAC. SIRo1M90458 BLACK, surface mounting deep base, 90-240VAC. SIR01M90347 RED, wall mounting base, 12-24VAC/DC. SIR01M90348 WHITE, wall mounting base, 12-24VAC/DC. SIR01M90370 GREY, wall mounting base, 12-24VAC/DC. SIR01M90453 BLACK, wall mounting base, 12-24VAC/DC. SIR01M90443 RED, wall mounting base, 30-80VAC/DC. SIR01M90438 WHITE, wall mounting base, 30-80VAC/DC. SIR01M90433 GREY, wall mounting base, 30-80VAC/DC. SIR01M90456 BLACK, wall mounting base, 30-80VAC/DC. SIR01M90510 RED, wall mounting base, 90-240VAC. SIR01M90511 WHITE, wall mounting base, 90-240VAC. SIR01M90371 GREY, wall mounting base, 90-240VAC. SIR01M90459 BLACK, wall mounting base, 90-240VAC. SIR01M90373 RED, double wall mounting base, 12-24VAC/DC. SIR01M90374 WHITE, double wall mounting base, 12-24VAC/DC. SIR01M90372 GREY, double wall mounting base, 12-24VAC/DC. SIR01M90454 BLACK, double wall mounting base, 12-24VAC/DC. SIR01M90445 RED, double wall mounting base, 30-80VAC/DC. SIR01M90440 WHITE, double wall mounting base, 30-80VAC/DC. SIR01M90435 GREY, double wall mounting base, 30-80VAC/DC. SIR01M90457 BLACK, double wall mounting base, 30-80VAC/DC. SIR01M90513 RED, double wall mounting base, 90-240VAC. SIR01M90514 WHITE, double wall mounting base, 90-240VAC. SIR01M90512 GREY, double wall mounting base, 90-240VAC. SIR01M90460 BLACK, double wall mounting base, 90-240VAC. SIR01M90349 RED, ceiling flush mounting base, 12-24VAC/DC. SIR01M90375 WHITE, ceiling flush mounting base, 12-24VAC/DC. SIR01M90444 RED, ceiling flush mounting base, 30-80VAC/DC. 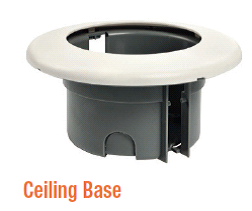 SIR01M90439 WHITE, ceiling flush mounting base, 30-80VAC/DC. SIR01M90446 RED, ceiling flush mounting base, 240VAC. SIR01M90376 WHITE, ceiling flush mounting base, 240VAC. SIR01M90610 GREY, pole (1.5″ NPT) mounting base, 12-24VAC/DC. SIR01M90613 BLACK, pole (1.5″ NPT) mounting base, 12-24VAC/DC. SIR01M90611 GREY, pole (1.5″ NPT) mounting base, 30-80VAC/DC. SIR01M90614 BLACK, pole (1.5″ NPT) mounting base, 30-80VAC/DC. SIR01M90612 GREY, pole (1.5″ NPT) mounting base, 90-240VAC. SIR01M90615 BLACK, pole (1.5″ NPT) mounting base, 90-240VAC.